Glenn Gould Studio.... the "jewel" of the Canadian Broadcasting Centre and a one-of-a-kind venue in downtown Toronto. Our licensed lobby is a welcoming space for receptions, breakfast meetings, cocktail parties and VIP events. 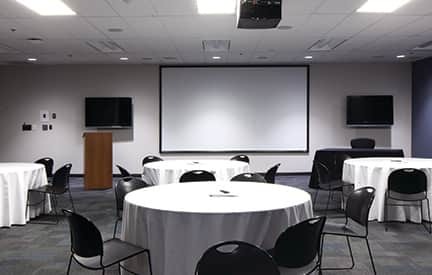 A premier event venue for annual meetings, townhalls, awards shows, film screenings, conferences, galas, lectures, trade shows and fundraisers. The adjoining Conference Centre boardrooms are ideal for break out sessions or board meetings. The state of the art Studio offers a truly intimate enviornment for concerts and variety performances with full technical production services. 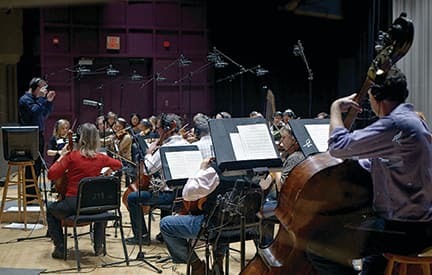 As a state-of-the-art recording facility, Glenn Gould Studio is ideal for classical, jazz and contemporary film, television and music recording. Download our brochure, or contact us today to book your event: ggsinfo@glenngouldstudio.com, 833-205-5574. 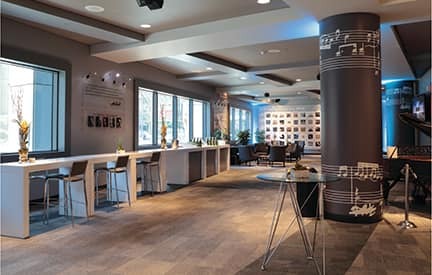 Our wonderful lobby serves as a welcome and inviting space for your guests to connect, with glass windows overlooking Front Street, memorabilia from Glenn Gould’s life, and the Chickering Piano from his family home. 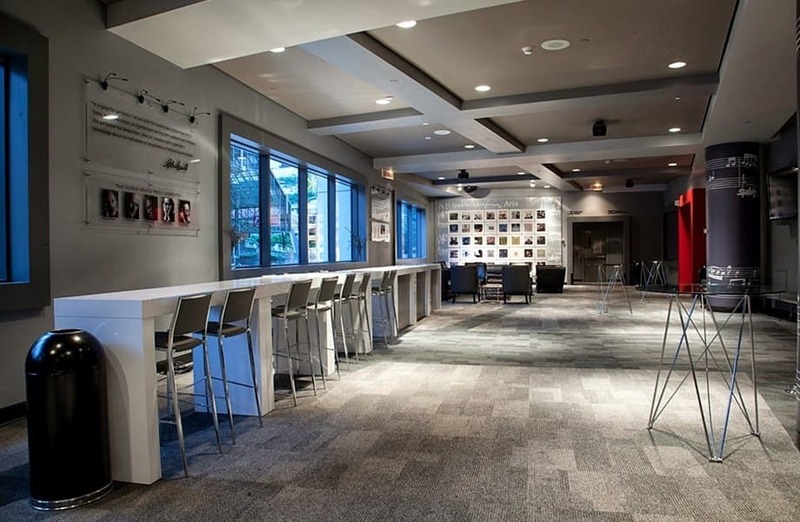 Connected directly to the studio, this is a great space for silent auctions, breakfast meetings, cocktail parties, concert receptions and intimate dinners. 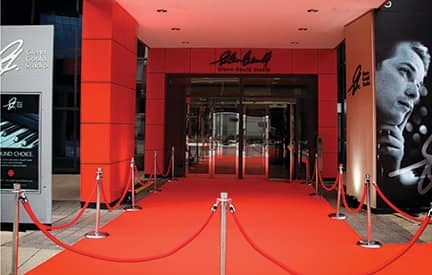 The fully licensed lobby can be rented with the studio or separately, and can accommodate up to 340 guests. Organizations and businesses now have an exciting alternative to hotels or convention centres. 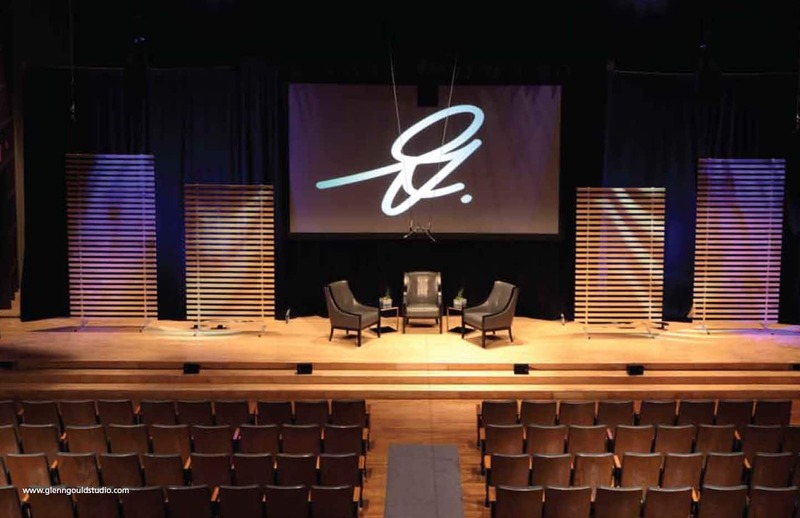 Glenn Gould Studio is a premier event venue for annual meetings, townhalls, award shows, film screenings, conferences, lectures, trade shows, fundraising galas and cocktail receptions. Technical services include webcasting, A/V and post production, and multi-remote broadcasts. Our Front of House team will ensure that all your food and beverage details and event logistics are realized to create a seamless and successful event. Ideal for break-out sessions or board meetings, the Conference Centre is a great corporate event add-on. Our six rooms ranging from 10 - 100 person capacity can be rented individually or as a buy-out. The facility includes a kitchen, coat check and private washrooms. 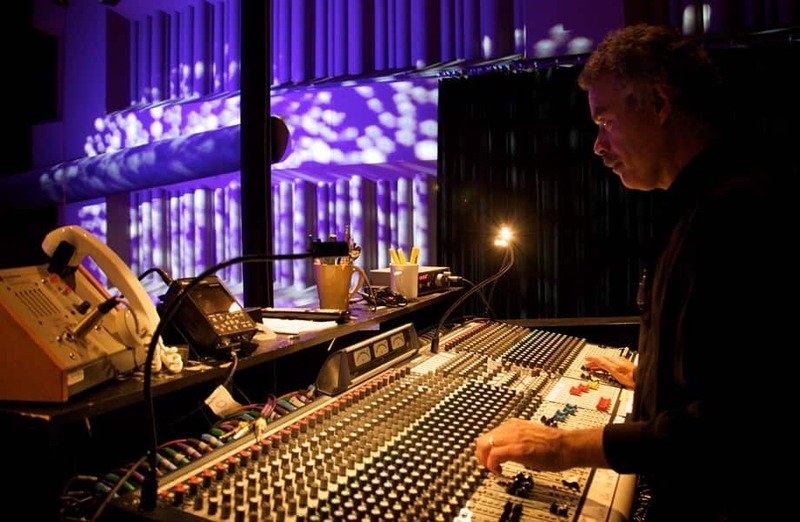 Beverage services are managed by Glenn Gould Studio. Food services are managed through one of our preferred caterers. 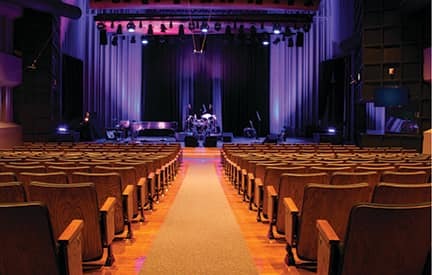 As one of the premier concert venues in Toronto, Glenn Gould Studio has been home to many classical, jazz and world music concerts. With a seating capacity of 340, this state of the art facility offers a truly intimate environment for concerts and variety performances. Our Technical Production team will work with you to ensure all your technical requirements are met. Technical services include professional audio recording, video production, live streaming and post production mixing. Our Front of House team will work with you on ticketing details, guest arrival and food and beverage requirements. See our current CONCERT LISTINGS for upcoming Glenn Gould Studio performances. Glenn Gould Studio is a state of the art recording facility offering incredible sound isolation (NC-15) and ideal acoustics for classical, jazz and contemporary music recordings. Glenn Gould Studio has been the scene of many Canadian and Hollywood film scores and can accommodate a 60-piece orchestra on stage. The control room features a 48 input Euphonix/Avid System 5 console with full automation and surround mix capabilities. 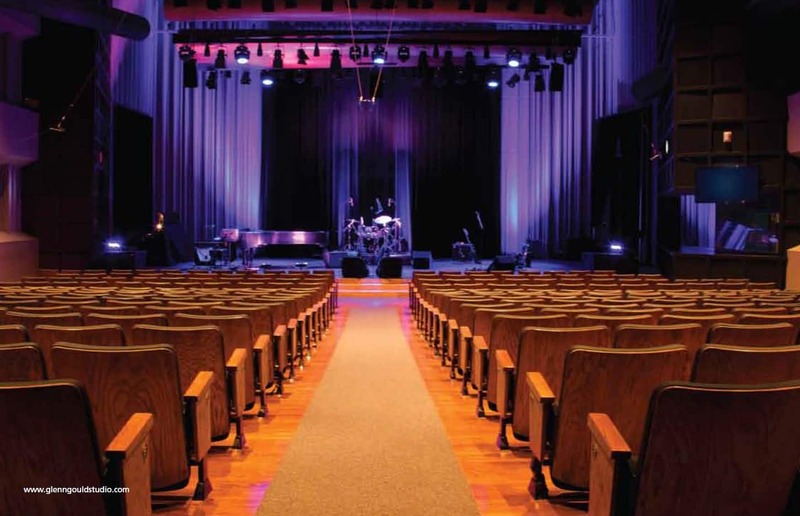 Book Glenn Gould Studio for a recording session or record your concert for the full Glenn Gould Studio experience. 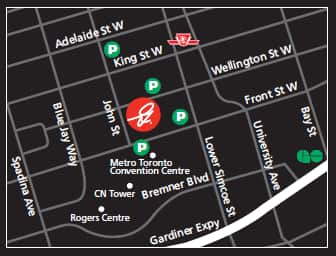 Glenn Gould Studio is easily accessible by public transit, 3 blocks west of Union Station, at the Toronto Broadcasting Centre on Front Street.